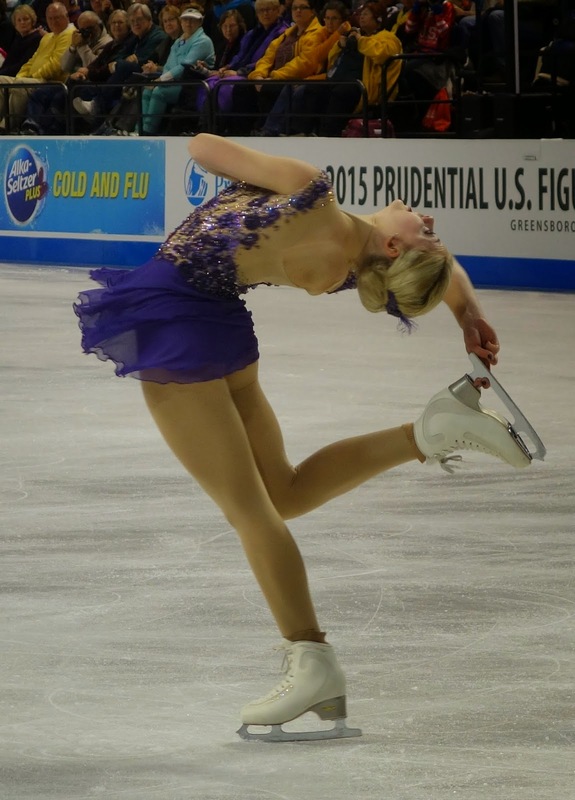 Saturday was a big day of driving and skating, and a bigger night for the ladies' final at the 2015 U.S. 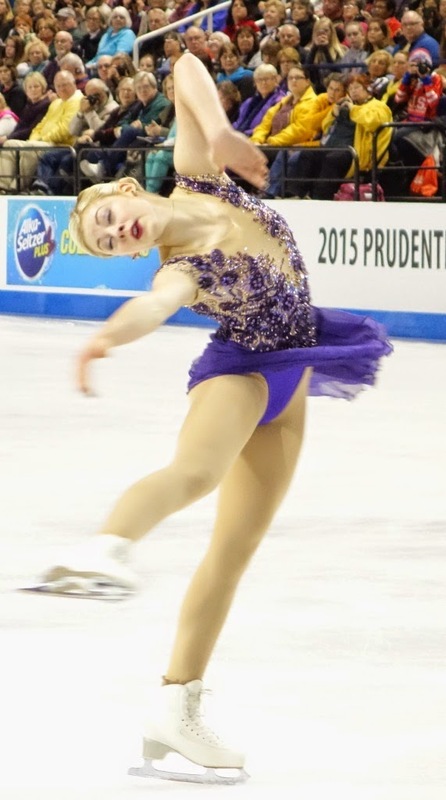 Figure Skating Championships in Greensboro, N.C. 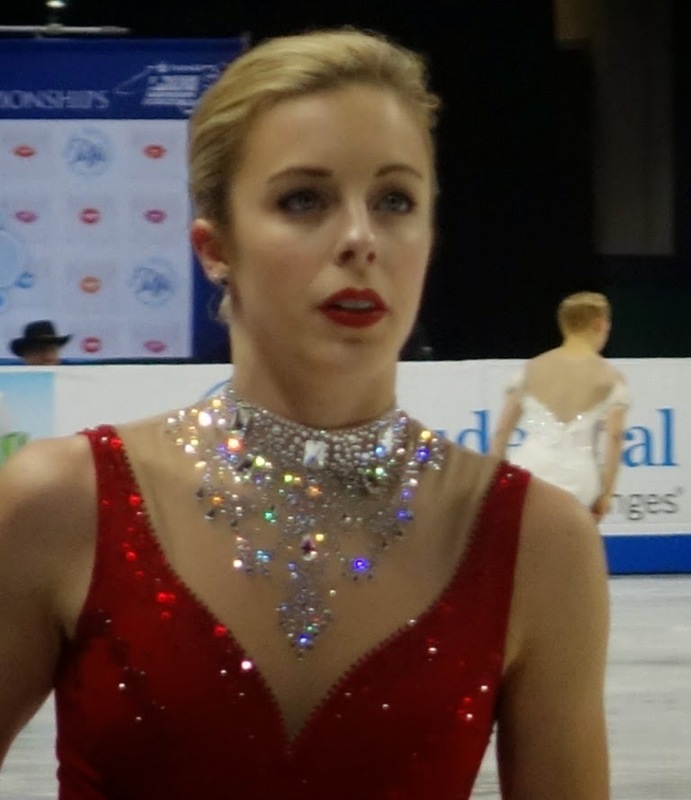 The results are in and Ashley Wagner is on top while 2014 U.S. Champion Gracie Gold took the silver. Wagner's total score was 221.02 while Gold earned the silver with 205.54. 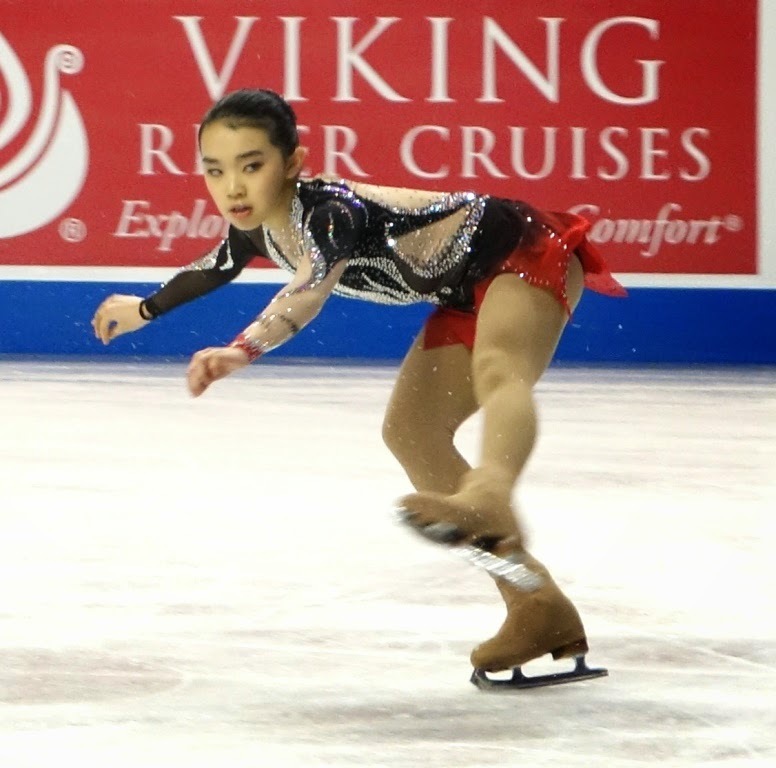 Karen Chen, who was sixth going into the final long program, moved up to third with a total of 199.79. Polina Edmunds ended the day fourth with 192.62. 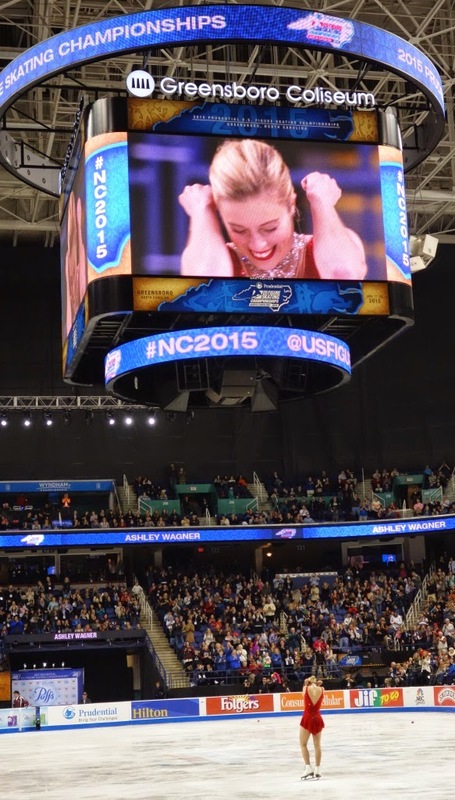 It was a fun experience covering the #NC2015 event, with to highlights, one by the ice and one behind-the-scenes. Rink-side standing room in the photo pit is better than a front-row seat. It was great fun to enjoy press room access to this area, and to snap a few shots during the ladies' final programs. Wagner, Gold, Chen and Edmunds performed well under pressure to the delight of a nearly-full crowd inside Greeensboro Coliseum (11,416 was the official tally of ticket holders). USA Today's Christine Brennan posed a question to Wagner and Gold, inquiring about the likelihood their careers may take emerge as a high profile rivalry the likes of which the skating world has not seen since 1994 or 1988. 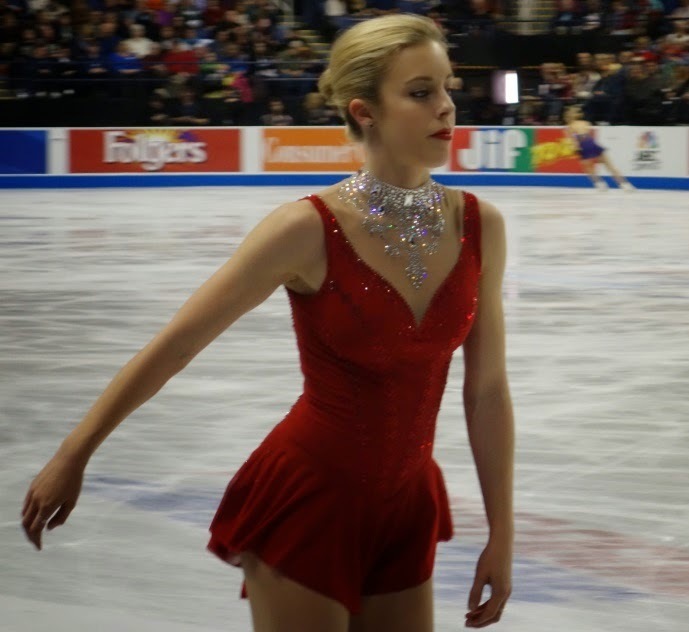 Gold responded she thinks the duo will maintain "the friendliest rivalry in skating," and she paraphrased a saying she read online stating "those who slay together stay together." More responses appeared in Brennan's report, the local News & Record and other outlets in attendance. The Associated Press duo on site helped me get up to speed on skating. Wagner was frank about the evening's results making a statement to those who started doubting the champion's abilities. 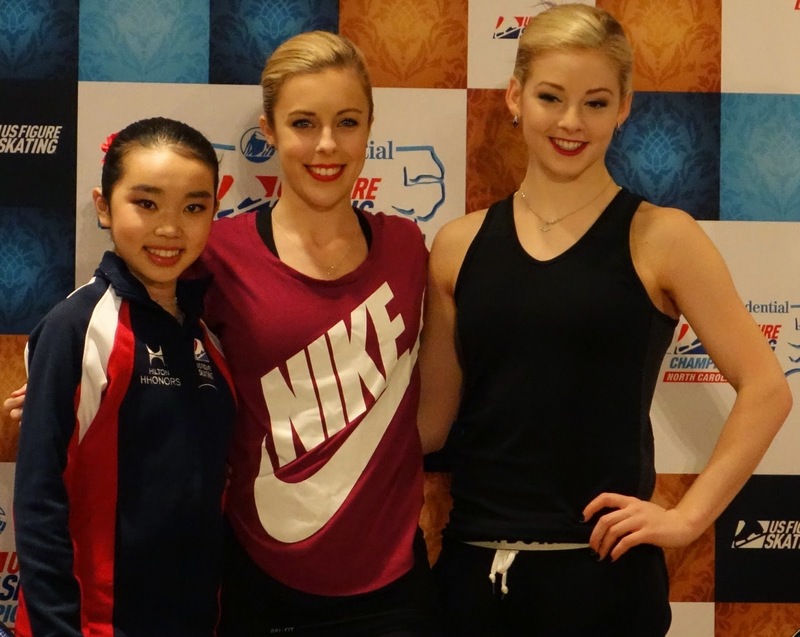 "This was my first competition with two solid performances (short program and long program), and I'm really happy with tonight," she said. "[The results] show every person who doubts me ... they need to shut their mouths and watch me skate." Later during the Q&A, Wagner answered a question about her prep for Greensboro, and she mentioned a quote she keeps posted on her mirror that "passion has a way of trumping logic." After the group session concluded, I was fortunate enough to speak 1x1 with Gold and ask the extent to which she also has similar mottos or keepsakes that inspire her. "I have three pillows with sayings on them," said Gold. "My mom and I like to go to estate sales and garage sales, and I found them their [at a sale." She explained the matching set has an organic, earthy feeling (the fabric and style) with related sayings, one of which was "... one day she woke up and she believed." The prospect of bumping into an Olympian and champion skater at a garage sale seems like something worth believing. Given Gold's recent hangouts with the likes of Taylor Swift and Lorde, maybe more estate sales will pop up on Catalina Island. Breaking the Ice in Greensboro, N.C.